The warranty on your iPhone is over already and oops looked like you’ve just cracked the iPhone screen or damaged it by spilling coffee on it. How to find the perfect iPhone repair shop?? Is it better to go to Apple or will an autonomous repair shop do the trick? The response depends on factors like repair time, part value and, of course, price. To get an iPhone fixed at an Apple Store, an appointment has to be reserved online. The phones can also be mailed back to Apple for mending or sent in through an Apple-authorized service provider (AASP), which could be whatsoever from an Apple-dedicated repair shop to a London Drugs store. Some AASPs only offer exchanges for iPhones enclosed by warranty or AppleCare.When a phone is sent to Apple for repair, the change time can be weeks. Apple says maintenances at its stores can take up to five business days. Independent iPhone repair shops are usually much better. These shops are quicker, offering same-day service for common repairs. Such as replacing a screen, battery, charging port or camera, and cost less than Apple’s out-of-warranty fees. The challenge is looking for a shop offering high-quality cares in addition to time and cost savings. One possibly major difference between repair options is that Apple removes iPhone data before repairing them. Whereas independent iPhone Repair shops do not have to. Rubbing the data means taking the phone back to its out-of-the-box stage. That protects customers from possible data breaches, but it could also mean losing all the photos, apps and phone numbers that haven’t been lately backed up. 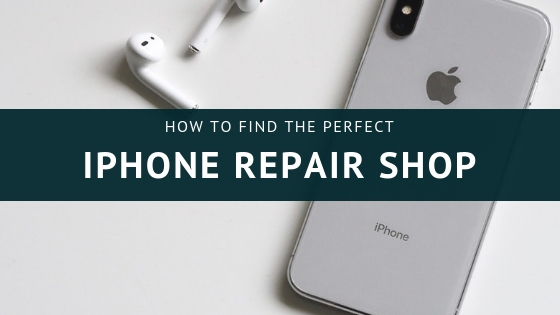 So among all the options, you have in hand, it is finally your call to as where do you want to repair your iPhone! PhoneBooth aims to deliver the best of Repairing services. We do iPhone Screen Repair, Battery and Camera Replacement, Water Damaged Phones repairment, charging port issues and much more. As of Now, we are unfortunately unable to heal broken hearts, but we can surely fix your broken screens. For any kind of iPhone repairing, you can Contact Us we have Smart Phone Repair Shops in Tuam and Loughrea.